We had a mixed bag of results on Saturday with our Interclub first round, but it is only Round 1 so onwards and upwards. Club Captains please flick me an e-mail about how your team performed – just a small paragraph on your teams performance good or bad. – Thank you to the team captains that e-mailed in your results – you are AWESOME!!! Division 2 won 11 – 4 at home against Paraparaumu, Division 3 lost 3 – 11.5 away at Kapiti, Division 6 lost 6 – 9 away at Judgeford – not bad guys for an away game, Division 9 lost 5.5 – 9.5 away at Karori, a good away result. Those winning their singles matches were Wayne Bach, Charlie Priestley, Brett Keno. Jayden Wellington and Andrew Black halved their single matches. The best performer was Wayne Bach who won both his single match and the 4-ball. BOOM – Job Done – An Awesome effort from the Women’s MAT team playing at home against Royal Wellington 8 -4. Theresa Scholey had an awesome game picking up a dominant win 6/5, Kim rallying from three down after three holes to canter home 3/2. Carole holding on to a win 1up from a fast finishing opponent. Plus Birthday girl Chrissy carding a blazing 84 for a solid win. Ange effortlessly picking up another single win 4/3. With such good play the majority of 4 ball matches were locked up nice and early. Next round at Wainui 9th February – Amie your Captain has promised to have an early night alcohol free (my smiley face). Good Luck Ladies with your next game – you played Awesome on Saturday!!!!! Congratulations to all that registered themselves and partners into the James Mayer Trays Opening Day A great response from members – A big Congratulations to Jo Carson/Mary Penrose for winning the Trophy coming in closely behind them on count back was Kerry Baines/Michael Baines on 48 Stablefords, 3rd Danny Anderson/Braden Lister, 4th Dave Anderson/Jeff Rigby, 5th Jason Bevan/Geoff Lippross, 6th father and son team Dominic & Ryan Hazeldine, 7th Bob Clouston/Norman Ellis, 8th Roger Gee/Meka Boyton, 9th Steve Needham/Owen Howes, and 10th Kevin Keown/Dave Fildes, only 2 Stablefords difference between 10th and 1st placing. A BIG CONGRATULATIONS TO OUR GREEN-KEEPERS – WE HAVE HAD GREAT COMPLIMENTS ABOUT THE TREMENDOUS CONDITION OF OUR COURSE, OK I KNOW SOME OF YOU ARE SAYING THE GREENS ARE A BIT SLOW – BUT GUESS WHAT WE HAVE VISITORS HERE FROM ALOT OF OTHER GOLF COURSES IN THE WELLINGTON AND NZ REGION AND THEIR MEMBERS SAY THERE GREENS ARE SLOW TOO!!! Are you interested in playing Mashies – We need you!!!! Please contact the office or Greg Judd. You don’t have to be committed one Saturday every month if other commitments, you can be a reserve!!! Thanks to Allan Old taking care of the bins on Course — you are AWESOME!!! The Mid Week Ladies Pennants played Royal Wellington at Waikanae on Monday in terrible conditions, raining cold and wind, it was so windy golf bags were falling over, sadly they lost 6 ½ – 2 ½, with these terrible conditions their game took over 5 hours, when they came in for lunch at 4.00 it was nearly tea time. They were certainly very glad to get back to the warm Upper Hutt weather – Great effort Ladies!!!! Teams Twilight Golf started last night, we have 9 teams and the weather was perfect for the first round, this year the prizes are sponsored by Pak N Save, Upper Hutt. Hopefully I can get some results to you in next week’s Blob. Thanks to Maree and Grahame for the meals each week. Saturday – Division 6 and 9 play at Te Marua. Sunday – Summer Cup Round 1, with round 2 and 3 the following Sunday for the Men.. The concept of this competition is 36 holes, Net Medal using players best 2 x 18 holes Net Medal scores from the available 3 x 18 hole rounds. (can’t explain it much easier than that) Good Luck to you all !!! Wednesday – Waitanga Day – Hui Ngaparu Trophy for the Men, Lil Parkin Trophy Midweek v Weekend Ladies Stableford. Thursday – MW Men hosting Waikanae – Pak n Save Teams Twilight. Saturday 9th February COURSE IS CLOSED – Cossie Club Charity Tournament Plus Mashies at Trentham. On Monday 11th February Wellington Golf are hosting the Silver Pennants at Te Marua, there are 48 golfers so we will have limited tee times. 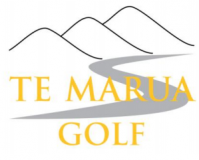 Te Marua Golf are also hosting 60 children for Coaching Sessions on Wednesday 13th February – this is for the junior Programme Ready Steady Golf, the course is open – the Practice fairway will be closed for the Coaching Sessions. Monday 18th February we are hosting the Men’s Vets at 10.00am – the course will be course until early afternoon. Wednesday 20th February we are again hosting Ready Steady Golf – practice fairway will be closed. Wednesday 27th February we are hosting the Ladies Eagles National Golf at 8.30 – the course will be closed until early afternoon..
Before you go WOW when am I going to play -I say to you BONUS CARDS – These cards are only valid till the end of April, so if you have not got your bonus card for 2019 – come in and collect it to play at Shandon and/or Judgeford for free.